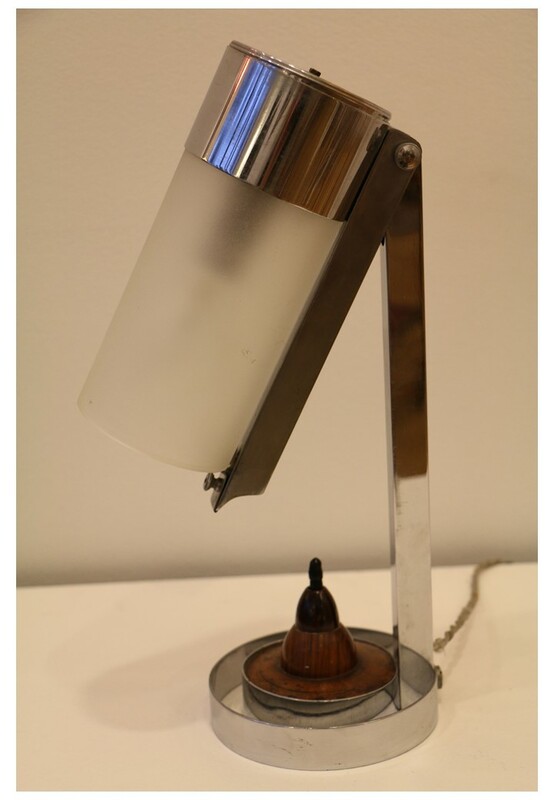 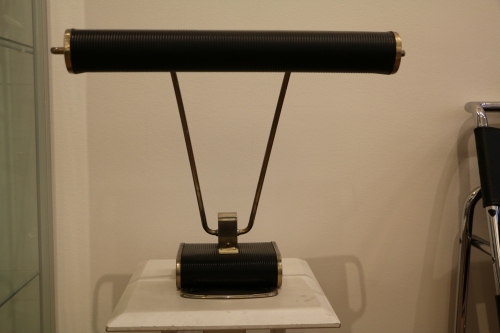 An Art Deco Modernist table lamp by Jean Boris Lacroix, 1930s. 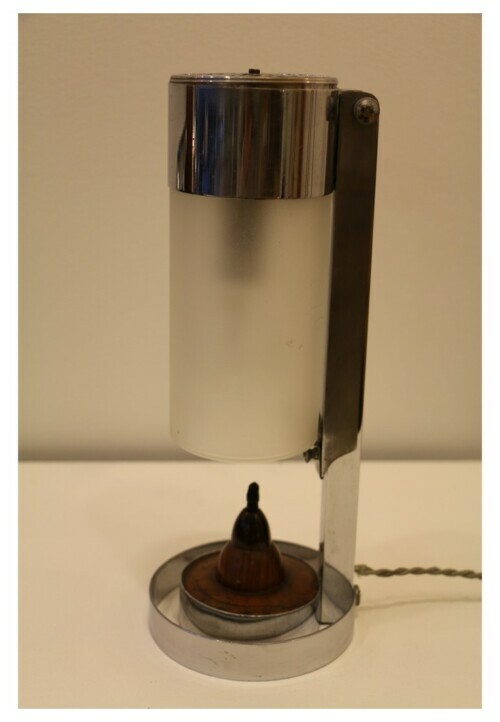 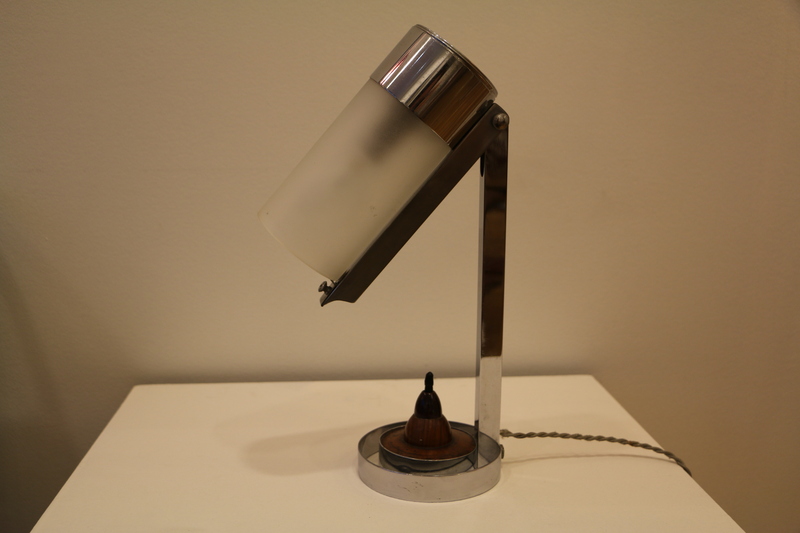 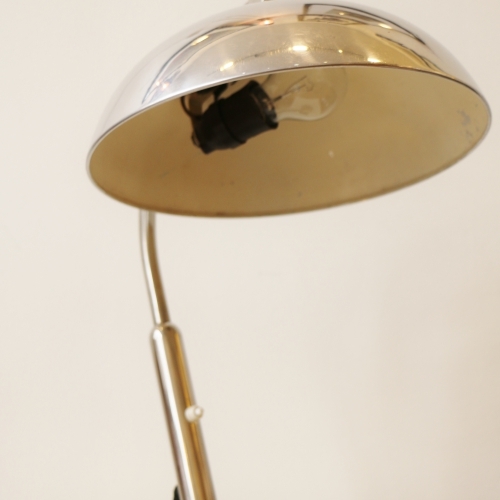 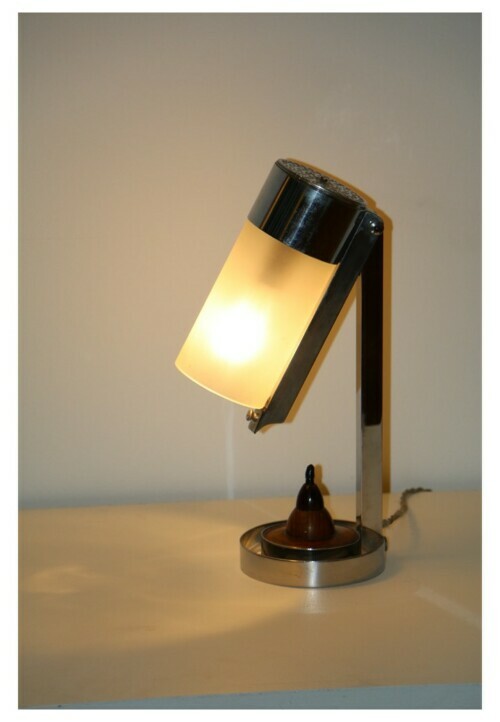 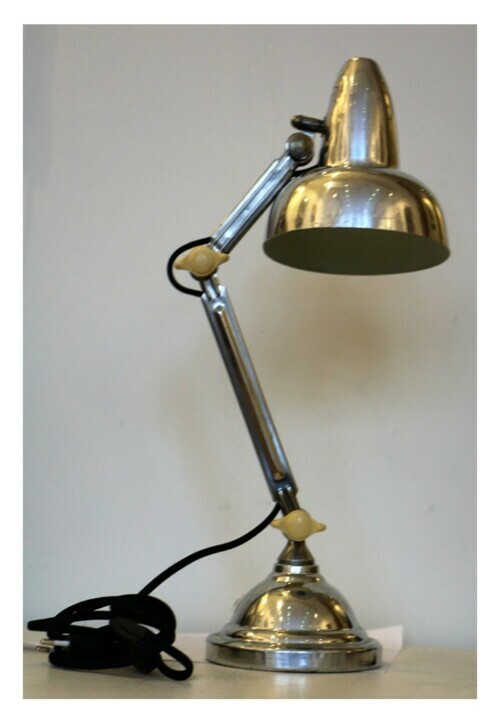 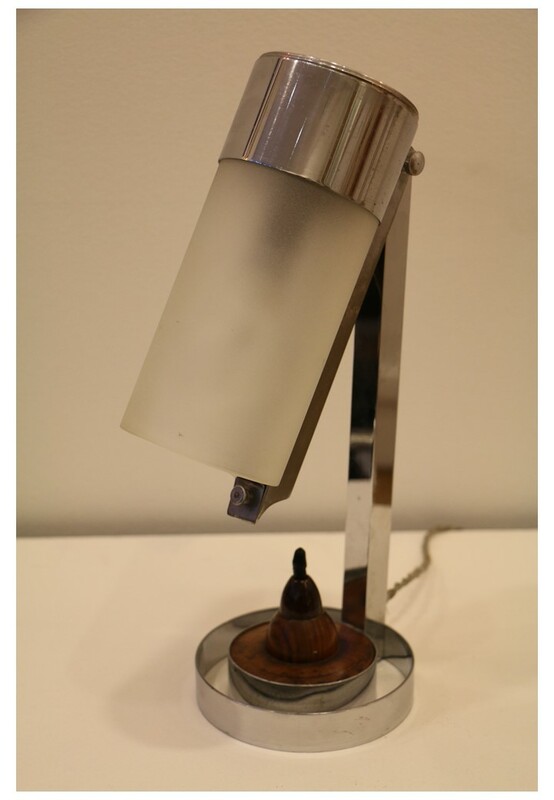 Modernist lamp in chrome metal, the articulated head on the shaft is ending with with a frosted glass cylinder. 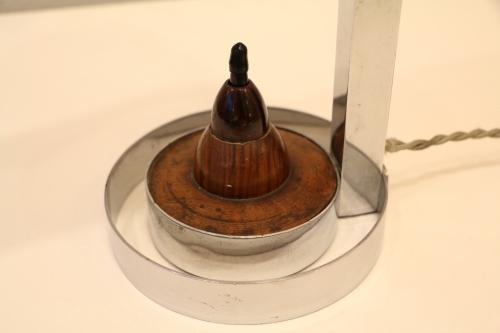 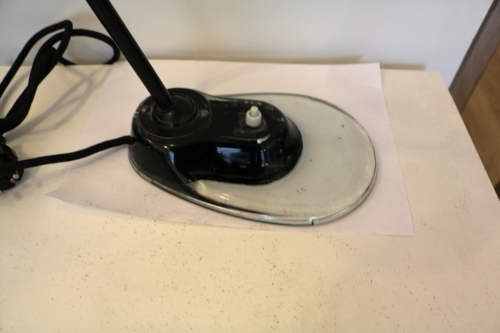 Bakelite switch on the wooden base. By Jean Boris Lacroix. 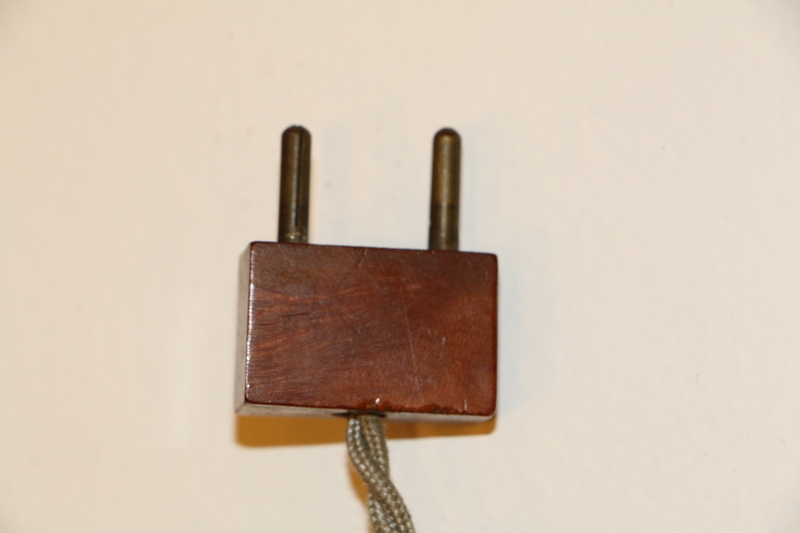 European standard wiring. H : 12.2 in.H ; Diameter : 4.72 in.